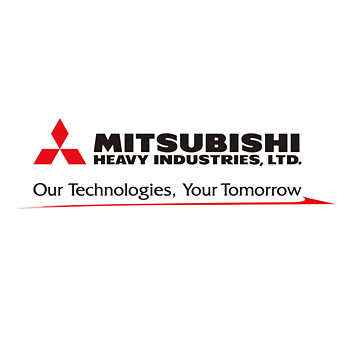 In its long journey together with customers, partners, other individuals and societies since its foundation in 1884, Mitsubishi Heavy Industries (MHI) has sought to pioneer new approaches in manufacturing. These efforts have yielded many products that have enriched the lives of people around the world, and through them MHI has contributed to the development of societies. In recent years the outstanding growth witnessed by emerging markets, particularly in China and India, underscores the vital need that we establish our presence throughout the global marketplace and maintain all aspects of our operations – our technological capabilities, price competitiveness, customer services and earning strength – at a top level internationally. 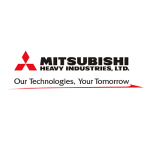 The MHI Group’s turnover stands at approximately 3 trillion yen. In order to continue to rank in the international market as a manufacturer supporting society and infrastructure, we must target the 5 trillion yen level, working with stakeholders to expand our operation and building new platforms that contribute to society. We are also reorganizing our management structure to ensure each domain actively expands its business based upon its own optimal business strategy. Accordingly, we have adopted a stance of incorporating that which will benefit us or what we require externally and a shift to global standards of thought and methods, while still maintaining the high technological level and constant drive for improvement that embody the strengths of the MHI Group. We aim to make the most of our strengths by working with excellent partners in nurturing our business growth, both in terms of size and profitability. Inspired by the strong passion of our CI statement, we have taken up the challenge of establishing a corporation with a truly global presence. Please continue to support the MHI Group in this goal. MHI provides construction through to after-sales services for various power generation facilities, including thermal power plants that achieve the world’s highest generation efficiency and CO2 reduction levels, as well as nuclear, and wind power plants, contributing to stable power and better quality of life. MHI has been developing and manufacturing key components, such as wings and fuselages, for civil aircraft for many years. Mitsubishi Aircraft Corporation, a group company, is developing and marketing the highly comfortable and environmentally friendly MRJ passenger jet, leveraging MHI’s accumulated advanced aircraft technologies. MHI provides launch services with the H-IIA, Japan’s primary launch vehicle, and has also participated in the development and production of KIBO, the Japanese Experiment Module (JEM) on the International Space Station, contributing to space development in Japan. MHI develops and builds a wide range of large ships and offshore structures for various applications, contributing to the efficiency of marine transportation around the world. Superior performance and economic efficiency have earned MHI’s work a high degree of trust worldwide. MHI develops and manufactures many products designed to expand public transportation infrastructure and alleviate traffic congestion, from high-speed and commuter trains to subways and streetcars, as well as traffic management systems, including electronic toll collection (ETC), contributing to better safety and comfort in transportation. MHI develops and manufactures equipment such as large cranes in use at sea ports, and forklift trucks used in countless distribution settings, supporting everyday goods distribution. These vehicles are essential and efficient tools for ensuring the safe and timely delivery of vital goods. MHI provides systems and facilities designed to reduce environmental load as a means to curb global warming as well as prevent air and marine pollution. MHI is dedicated to helping sustain global economic growth, while reducing the impact of this growth on the environment. MHI supplies automobile manufacturers with automotive-related components, from air-conditioners and turbochargers to car collision simulators and industrial machine tools. MHI also provides electronic toll collection (ETC) systems and multilevel parking facilities, making life for drivers safer and more comfortable. MHI develops and manufactures a broad range of industrial equipment, contributing to prosperity by supporting industrial progress. This includes equipment for chemical plants that produce the raw materials for familiar plastic products, printing presses for newspapers and magazines, and medical equipment for radiotherapy. MHI provides the construction machinery as well as the anti-vibration and isolation systems that are essential for society’s infrastructure, including roads, tunnels, subways, telecommunications, water supply and sewage systems, and energy distribution networks, supporting people’s everyday lives and business activities. MHI helps people enjoy richer, happier lives through a wide variety of products, ranging from air-conditioning-related products with improved functionality and energy-saving performance to leisure facilities, as well as some of the world’s largest cruise ships. MHI provides support in every area of national defense, including land, naval, and air defense, contributing to Japan’s national security through the development and manufacture of equipment based on leading-edge technologies.